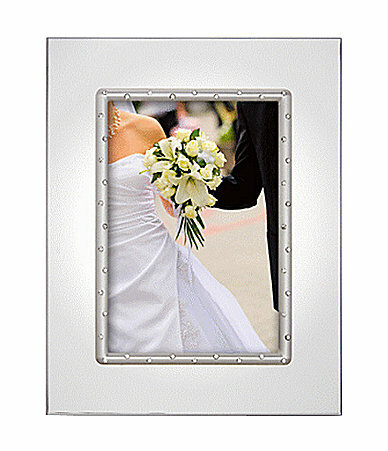 This 5x7 silver picture frame from Lenox is a lovely way to display a photo. Add engraving to make it a truly unique engagement or wedding gift. Crystal gems line the frame opening like lights on a movie marquis. This item features silver-plated metal.